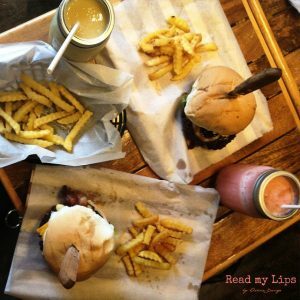 There’s a certain new restaurant in the South that’s making a buzz as people are flocking this place to try their range of burger, chicken, and fries. 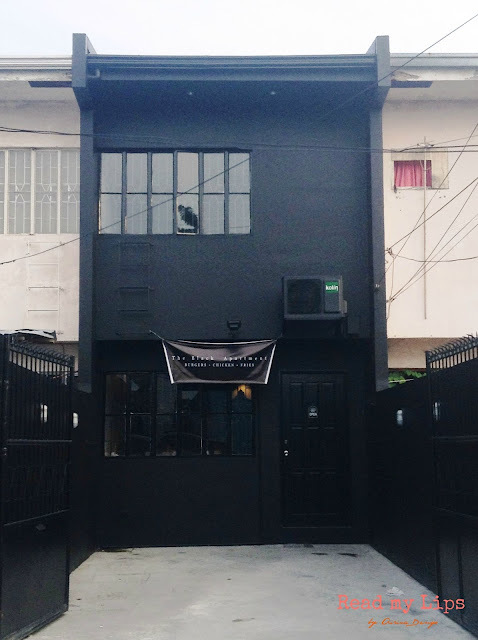 Having born just ten days ago, The Black Apartment had several times ceased operations due to completely emptying their supplies. Just last Saturday, they have sold-out 3 days worth of stocks in a single day. 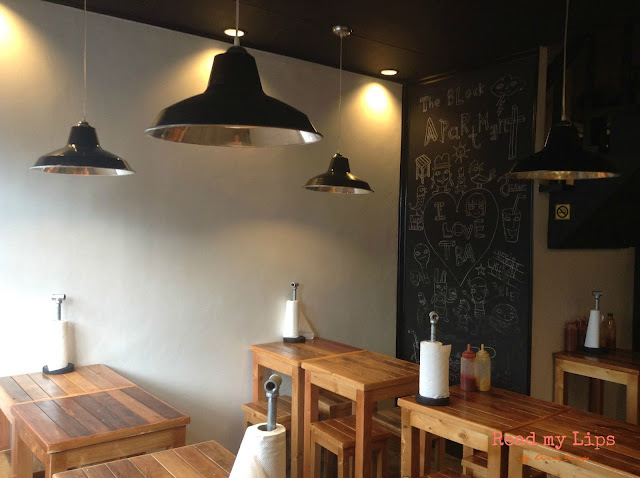 The interior was of minimalist design mostly painted in black and white with a doodle wall in one corner. With a small seating capacity of 24, it can get crowded during peak hours so it won’t be surprising if this store will be expanding soon. Best seats are the those directly in front of the doodle wall for Instagram-worthy shots. Now enough of the ambiance. Let’s get to the ones we’re here for: the food. TBA’s menu lodged with the theme of housing as their burgers are cleverly called Tenant, Backyard BBQ, Chubby Roommate, Bedspacer, Hole in the Wall, Full House, Home Sweet Home, and Landlord. You get the idea, their other meals are of the same calling. It’s a Wednesday. 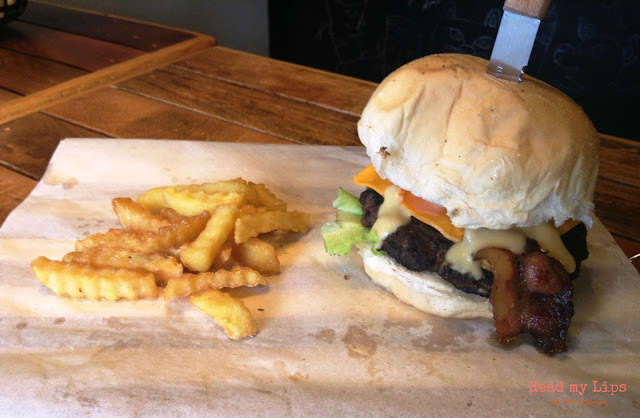 I made sure to avoid the crowd and arrived at around 3PM, only to be informed that I can order a maximum of two burgers because they are running low at supplies once again. What? Almost sold-out at 3PM? If I wasn’t physically there I would have laughed at the idea, except I WAS there. The two surviving burgers we’ve ordered are called Chubby Roommate and Backyard BBQ. 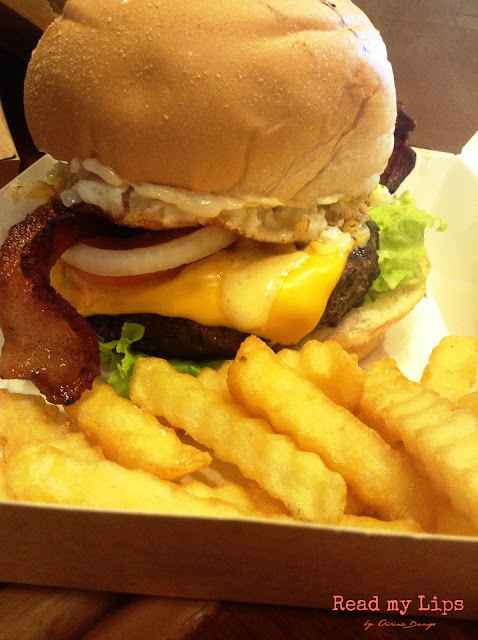 The Chubby Roommate PHP160 was made of 1/3 pound beef patty topped with bacon, American cheese, and signature TBA sauce. Don’t worry, this obese burger has lettuce, tomato, and onion to feed the conscience. 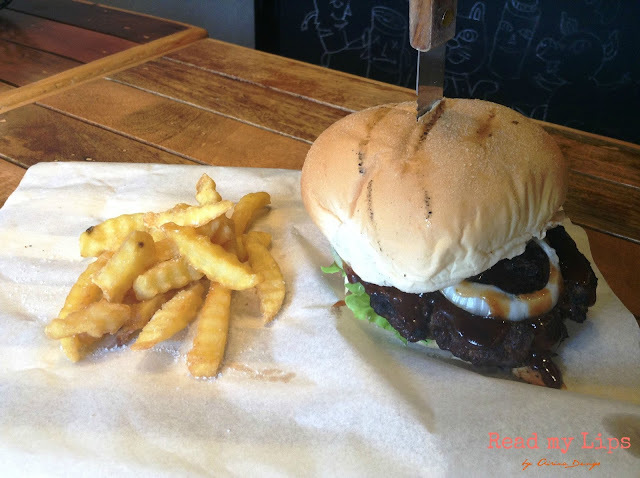 The Backyard BBQ PHP150 boasts of sweet 1/3 pound beef patty soaked in sweet barbeque sauce. Also with with cheese, and veggies. For me, TBA’s burgers are what burgers are ought to be: tasty, oily, and sinful. 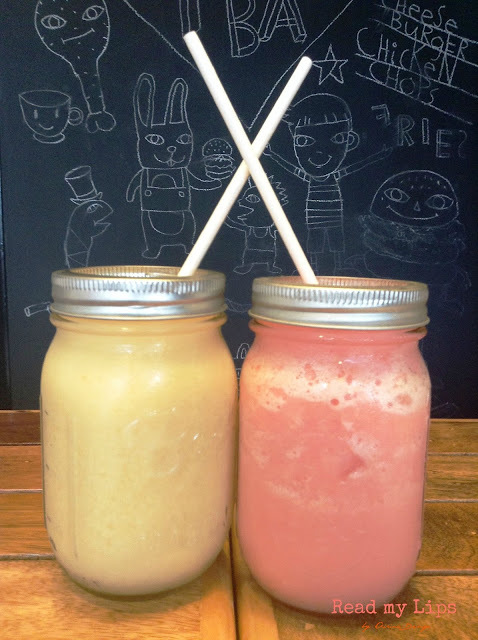 The taste hits home and made me regret all the time I spent eating mediocre burgers. They weren’t too salty, which is a big relief to me. I like anything that doesn’t make me think I’m spooning in salt. All burger meals come with french fries which is like the one you can prepare at home by chopping potatoes, dashing some salt, then deep frying. The fries were more on the bland side but I believed it helped because it wasn’t too overpowering and the limelight weren’t taken away from the burgers. An entire bowl of fries can be yours for PHP49 by ordering Couch Potato. 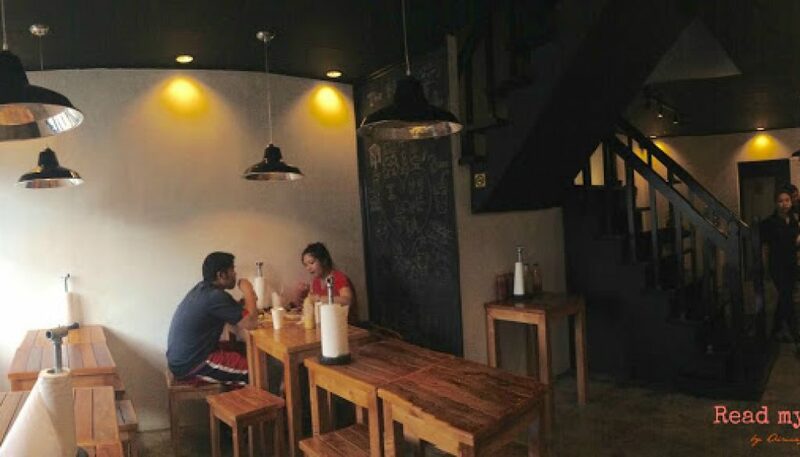 There are two other burgers I would like to try: Hole in The Wall, which has a glazed donut bun, and the Landlord, the ultimate burger with three patties stocked on top of the other. Those will be my orders for my next trip for sure. The meals come in fairly big servings which can feed at least two people and even then, maybe you don’t want to share. 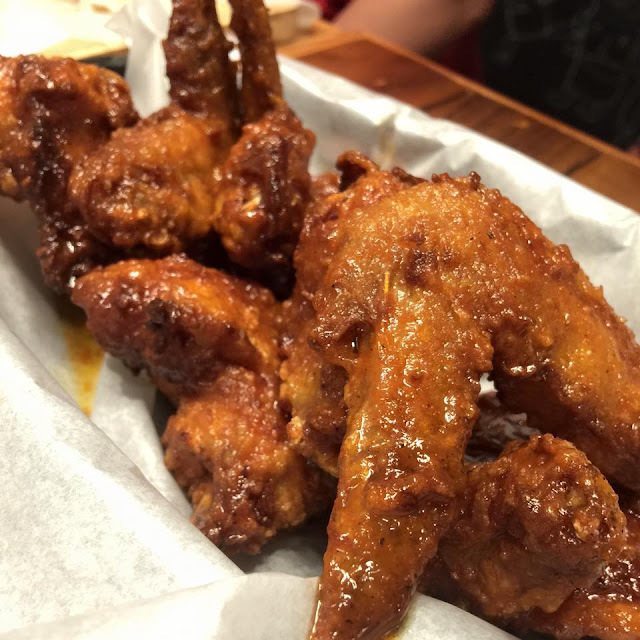 Hot Chicks Next Door PHP 164 is their version of buffalo wings. I really enjoyed the robust hit of spicy while the smell and sweetness of butter stays on my lips and fingers long after I’ve finished eating. Their other chicken concoction, the Powder Room Chicken Chops PHP 99 was what we took home and ate for dinner. It was one large chicken fillet breaded then powdered with nutmeg. It was crunchy all right but I believe a little bit of seasoning might help. When we were almost done eating, TBA’s new set of supplies came and allowed us to order this Bedspacer PHP 170 as our take-home. It was almost the same as the earlier burgers but aside from beef patty and bacon, it has one whole fried egg stuffed in between. Come on, more protein! With all those meat and fat, I was surprised the taste was in fact pretty balanced. This has got to be my favorite burger so far! 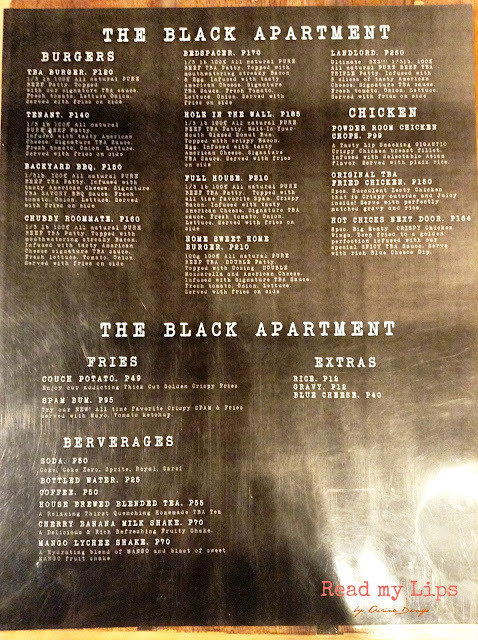 The Black Apartment was the brainchild of a group of friends in pursuit of the best tasting burger. When they failed to find the perfect joint, they decided to make their own. It was called as such because it stood in a row of white 2-story homes, and so to stand out, they have it painted black and kept the title. Yes, it actually is an apartment inside a village with real-life neighbors. Follow them on Facebook and Instagram or call (046) 5738531 for reservations and inquiries. No own parking lot for customers but the space in front of the shop can be utilized.